In menswear, the clothes that truly seem to endure are the ones that offer the person wearing them some kind of function. They are literally fit for purpose. That’s the reason so many so many military pieces make the transition from the front line to the runway, and it’s also the case with workwear. Items originally designed for carpenters, dockhands, fishermen and labourers are wearable in the truest sense of the word. They’re comfortable, layered – perfect for autumn. And, in more ways than one, they’re made to last. 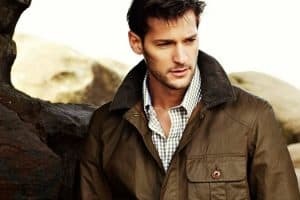 Functional workwear items like Red Wing boots, Dickies trousers and Barbour jackets have been fashion statements since the late 1990s, sold first through independent menswear stores like American Classics in London and Manchester’s Oi Polloi. 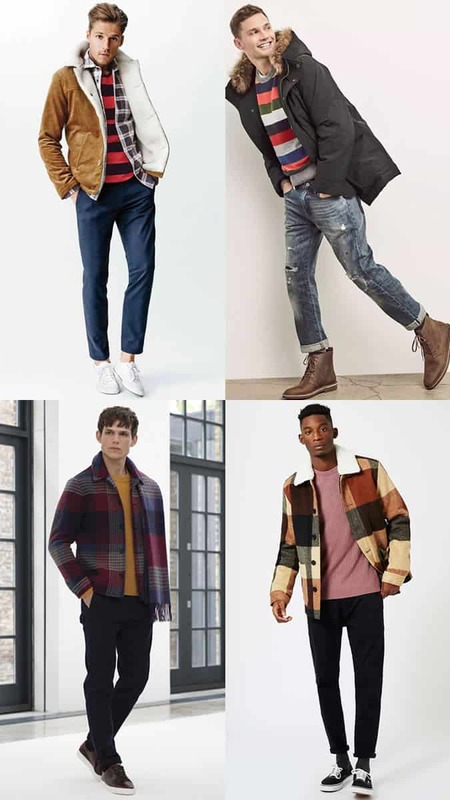 These days, workwear is as ubiquitous on the high street and in department stores, with many fast-fashion brands even offering capsule collections of blue-collar staples like chore jackets and selvedge denim jeans. Carhartt’s Work in Progress line offers a more fashionable take on the look, and is a firm favourite of fashion industry insiders. “I think it’s even more relevant right now due to the nostalgia that workwear holds towards simpler times, where people had a craft and the pace of living was slower,” says Gove. Workwear offers desk-bound men a whiff of the romance of semi-skilled labour without, you know, actually having to get your hands dirty. Indeed, much of the workwear canon, especially the Americana of labels like Dickies and Carhartt, romanticises the kind of work which is being made redundant by automation or outsourcing to developing countries. It’s no surprise that workwear’s surface textures are predominantly matte: heavy cotton drill, thick wool, deep indigo denim, butter-soft flannel, chambray, slub linen and waxed cotton. These are fabrics which neither glow or shine, or draw any attention to themselves, but are instead quietly handsome, taking on character with use and wear over time. Gloss and ‘newness’ is for the shiny world of the internet and luxury emporiums, which is what the appropriation of workwear is partly a reaction against. The appeal of workwear is that it is functional, so even if you’re just running for the bus or riding your bike (as opposed to making a log cabin), it quite simply works. Key to this is a loose and easy fit. Robust workwear trousers such as a pair of carpenter’s pants or raw denim jeans should ideally be worn in a more relaxed cut. For instance, a washed denim or blue chambray shirt looks brilliant when paired with a tailored jacket or blazer. Equally, flipping the balance on its head, the right kind of jeans can provide a solid foundation for a more suited looked up top. A good way to channel workwear’s ruggedly masculine aesthetic is with a bit of clever accessorising. Fisherman beanies may be almost insufferably hipster, but they’ll keep you warm, while a solid pair of work boots keep your feet dry. Commuters of all kinds should also look to outdoor brands for day-to-day bags that are built to withstand bad weather and even worse public transport while keeping personal belongings safe. Workwear tends to lean towards neutral shades such as navy, khaki, sand, green and brown. All of these can work worn tonally as part of a more streamlined look, but when it comes to workwear’s thicker, boxier cuts, it pays to lighten up. “Pops of colour help break up the workwear palette,” says Gove. Knitwear in a bright colour, like a red fisherman jumper, with a blue chore jacket and deep indigo jeans, will help to break up the outfit, making you look distinctive and different – but not too different. Workwear does its best work with a sense of cool understatement. The flannel overshirt in red and black check is the most instantly recognisable workwear piece. Although most commonly associated with woodsmen, flannel shirts were also a favourite of jazz modernists, like the saxophonist Gerry Mulligan. Pair them with raw denim jeans or cotton khaki trousers. To soften the look, avoid work boots and try a pair of brown or burgundy loafers or chukka boots instead. The nineties comeback no-one even knew they wanted, cargo trousers have been a surprise re-entry to wardrobes in recent seasons, and it’s easy to see why. A pair cut from a robust cotton, with or without pockets on the leg, should be loose fitting and hemmed up slightly, and can be worn with a pair of classic sneakers for a laid-back all-American look. The chore jacket – as worn by legendary New York Times street style photographer Bill Cunningham – is a tough as nails menswear staple typified by a slightly boxy cut and at least two large front pockets. Owing to its rugged design and structured shape, it expertly bridges the gap between formal and dressed-down. Layer it under a wool coat in the winter or over a T-shirt or sweatshirt in the summer, and you’ll have a solid smart-casual piece you can wear year-round. It stands to reason that work boots come into their own during the winter months. Rain and snow won’t do your loafers and ice white sneakers any favours at all, so lace up in some reassuringly sturdy shoes to keep everything on solid footing. These are best worn with a pair of raw denim jeans and a thick heavy coat, but a slightly more polished pair can also be used to bookend a suit to save your Derbies. Despite spending some time out in the menswear hinterland, the padded gilet has once again established itself as an eminently useful bit of clothing and one very popular among Italian men, with whom we don’t usually associate workwear. Overseas they use it as a layering piece underneath a tailored coat or jacket, which we can’t help but commend, but it can also be worn on its own over a cable knit jumper or flannel shirt for an added layer of insulation. If there’s one fabric with real workwear pedigree, it’s denim. The indigo stuff has been a firm favourite of blue-collar blokes, US ranchers and railroad workers since the 1800s, owing to its tough, hard-wearing construction and the fact that it can stand up to serious a battering. Try coupling a denim shirt with chinos and chukka boots. Or, if you’re feeling brave, go full workwear and embrace the double denim look. Just make sure you go for contrasting shades, the aim is not to look like you’re in a pair of overalls. Have you ever tried doing a full day’s manual labour outside in the darkest depths of winter without a beanie pulled firmly down over your ears? Us neither, but it probably isn’t much fun. That could go some way towards explaining why these woollen head warmers are such an important part of the workwear uniform. It can be quite a task to find a beanie that works for you, but there are plenty of styles out there to keep you busy. For something classic, go for a simple cuffed version, or experiment with a smaller fisherman-style for workman-at-sea vibes.